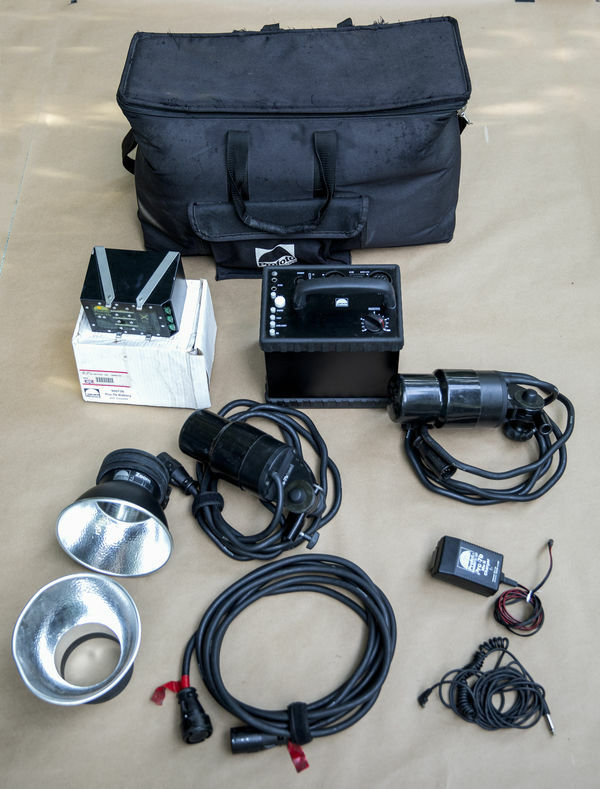 Profoto Pro-7b 1200 pack with 2 heads, 2 reflectors, head extension cable, sync cord, 2 diffusers, 2 internal batteries and charger all in dedicated Profoto padded travel bag for sale for $1,000. I am the original owner and these lights have been gently used over the years. Manual is included. Batteries may need cells changed for quicker recycle but they still hold a charge.